LEGAZPI CITY (Dec.12) – For serving with unselfish dedication, good governance, efficient public service and participative community development the Liga ng mga Barangay Albay Chapter in partnership with the Provincial Government of Albay and the 12th Sangguniang Panlalawigan of Albay recognized 174 Punong Barangays in the province serving three (3) consecutive terms during the Liga ng mga Barangay Year End Assesment & Recognition Rites 2017 held at Casablanca Convention Hall, Monday, December 11, here. 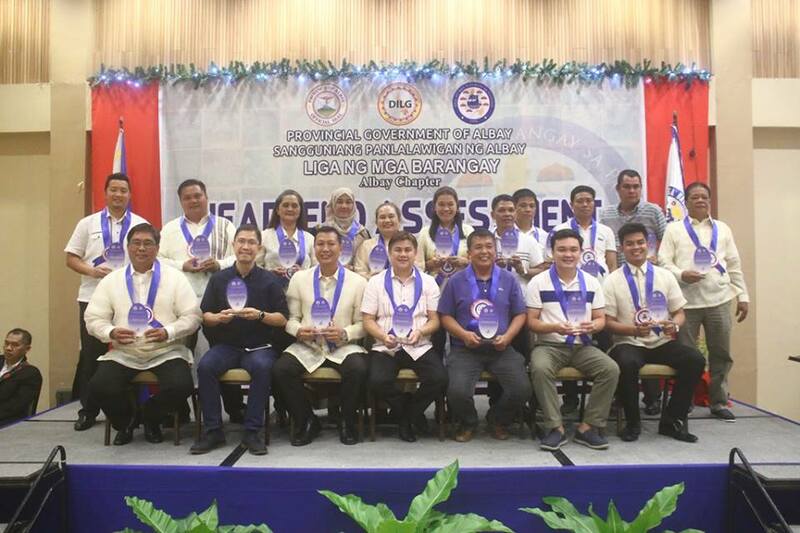 Brainchild by Vice-Governor Harold Imperial, recognition was given for their dynamic leadership in serving the Albayanos. Present during the event were: Guest Speaker Ms. Rebecca Britanico-Officer-in-Charge of DILG representing the Provincial Director; Board Members JP Lee-LIGA President, Rey Bragais, JR Ziga, Dante Arandia, Pem Imperial and Eva Ribaya; Tabaco City Administrator Gerardo Colarina representing Cong. Edcel C. Lagman of the 1st District of Albay; Municipal Mayor Maria Ahrdail G. Baldo of Camalig, Albay; Vice Mayor Nestor San Pablo representing City Mayor Cielo Krisel Lagman-Luistro; Councilor Brandy Arcangel representing Mayor Jorem Arcangel of Jovellar, Albay; LIGA Officers, Board of Directors and Members; graduating Punong Barangays from the different barangays in Albay; friends from the media and fellow Albayanos.